What is the essential quality that separates a boutique real estate company from other real estate companies? Engel & Volkers: We would have to say it’s the level of personal service. The boutique model will normally have a smaller shop in regards to the number of advisors/agents; and the model really starts at the top and filters to the relationships the advisors have with their clients. The broker and support staff take a personal interest in the client relationship, their goals, and their plans. We like to analogize the experience to that of purchasing a dress or suit from a tailor versus a department store. Maddux: In a smaller boutique brokerage, brokers and agents are more focused on the needs of the client, as opposed to internal competitions, recruiting for office credit, etc. There’s more of a team/family feeling with the entire staff. It’s just a lot more focused and connected. We understand that real estate is an important profession. Likely, real estate will be most consumers’ largest investment and we take that very seriously. Tell us what a typical client relationship is like for your agency. Locations Montana: Customers become clients, clients become friends. Friends send us friends. 90% of our business are referrals. We do both seller agency and buyer agency in our firm. L&K: Communication is key for us with any client relationship. We strive to be in consistent contact with our clients, whether its feedback for listing clients, new opportunities for buyers, or keeping in touch with updates on the market for those with a vested interest in our region. Uncommon Ground: We pride ourselves on keeping in touch with our clients years beyond the transaction. For us, it is the relationship first and the transaction second. We are our client’s trusted advisers. If you need a painter, we have recommendations for you. Want to know the best coffee shops in town? We will give our list and tell why we love them. We frequently develop close friendships with our clients and have even invited them to our homes for dinner and events. Engel & Volkers: The relationship is intimate, thoughtful, and discreet. While we focus and practice on a high degree of professionalism, including qualifying of interests and goals, discretion, and propriety, we also see our advisors becoming intimately engaged with the goals of their clients and their families. The process of being a Buyer and/or Seller leads to an experience with our agency that is led by an extremely competent professional. Other than finding a home and closing on a transaction what other services does your agency offer? L&K: In addition to representing buyers and sellers in real estate transactions, we also specialize in real estate consulting. We have a strong expertise in luxury lifestyle developments where our individual experiences have involved sales and consulting on several large scale developments during the length of our careers including leading Yellowstone Club to over $1 billion in sales, and consulting and sales at several other developments within Big Sky. Engel & Volkers: We strive to be a resource for both current and past clients with distinctive specialization. As an example, when engaging with an agent at a larger office, a customer may find that the agent is responsible for all aspects of the process, including research, showings, marketing, follow-up, transaction review, inspections, repairs, etc. Within our firm, many of these responsibilities are handled by a person or team specializing in a particular aspect of the business. Locations Montana: Most of my clients come from out of state, as we have a strong second home market here in the Flathead. 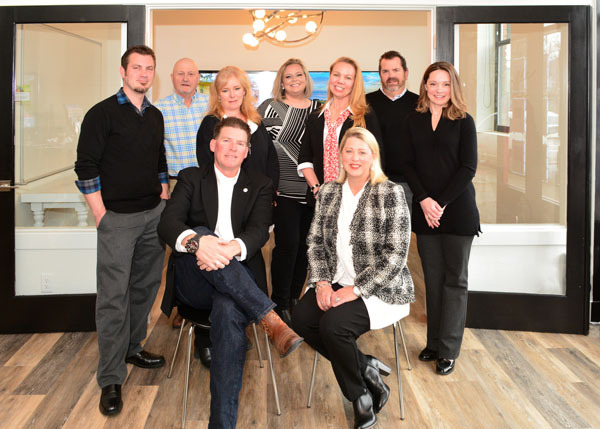 Beyond providing local knowledge for clients before and during our transaction, there are the ongoing needs of where to go for furnishings, doctors, and other services, how to find specialty items, restaurant recommendations, even helping planning events for visiting grandchildren. We have a casual atmosphere and welcome our friends to stop by for a cup of coffee and conversation…and they do! Tell us a client story that best illustrates your reputation as a boutique agency. Uncommon Ground: Shawn and Allison began the home buying process from Panama. Choosing a realtor “was easy” according to Allison. “One of Shawn’s best friends lives in Helena and he recommended the Uncommon Ground team. After a few conversations on the phone we felt comfortable,” Allison explained. Finding a realtor was just the beginning of their home search. From their home in Panama they were able to connect with our market via the Internet. They also took advantage of Zillow, Google Earth, and Google Maps. These resources were useful in looking at neighborhoods, yards, and the configuration of properties. Maddux: In my humble opinion, we have the best agents in the business. Our atmosphere is really friendly. We have clients stop at our office all the time. They know our staff, interact with agents, and know that everyone is here to help. Last month, I had a buyer flying in to see one of my high-end ranches. The buyer didn’t have reservations and there were a couple of events going on so he couldn’t find a hotel. We were able to get him a really nice place, had wine and cheese waiting for him in his room, and he was thrilled. We go the extra mile every time. 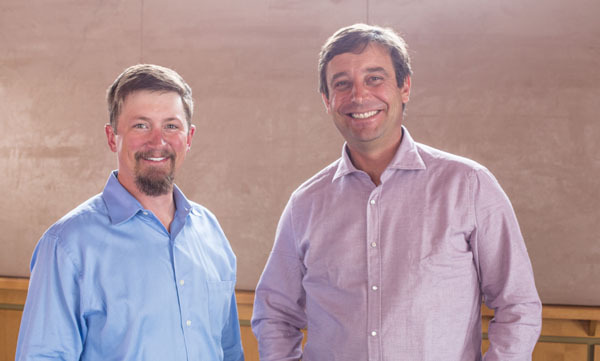 Engel & Volkers: In 2013, we had a client who found us via the Internet. This is a family who was considering a move here from Iowa. Like many people who come to Montana from elsewhere, they were not sure what they wanted; and when they first arrived it was an exercise to look for that large piece of land with a nice home. After many showings they ended up with a great home in a location where their children could walk/bike to school, and where they all felt very engaged in the community. Along the way, their Advisor also became a great resource, referring a dentist, pediatrician, school resources, restaurants, stores, even a home for their parents who moved to Montana, and more. We have heard the word “concierge” applied to boutique real estate services. What does that word mean to you? L&K: With the majority of our clientele not living in the area, we are often a “concierge” to assist both buyers and sellers. We are often a resource for trip planning — from vacation rentals to activities, to restaurant recommendations. People buying in our resort community are buying for the lifestyle, and we need to make sure they are able to have the best experience possible. During a transaction, we are also on the ground to help with arranging due diligence items from inspections and appraisals to grabbing a photo of the view on a beautiful day. Locations Montana: Going beyond its French meaning, we serve the needs of our clients and friends beyond their expectations. Uncommon Ground: Technology is quickly changing the way consumers buy and sell property. At Uncommon Ground, we offer free 3-D virtual tour imaging on all our listings. It’s the closest thing to walking through the property in person from the comfort of your home. We also offer drone footage and videos of the neighborhood amenities, ranch acreage, streams, meadows, etc. to help the consumer see beyond just photos. We’ll provide out of town buyers real-time walk-throughs via Skype, Facetime, or even capture a quick video of properties that interest them. We also have an in-house Marketing Director on staff and a menu to marketing services for our agents and clients. Examples range from traditional direct mail to Distinctly Montana and, of course, social media campaigns. How does your marketing approach transform the listing and selling process? 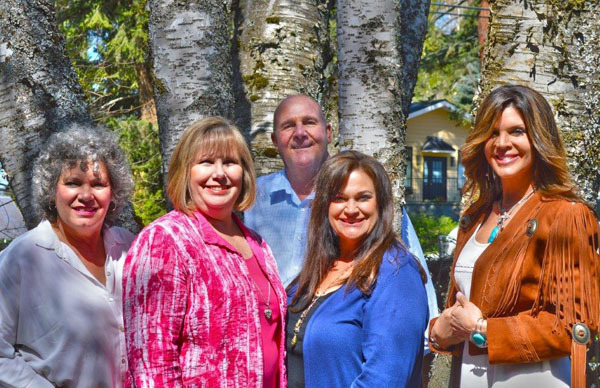 Locations Montana: Rather than a packaged presentation for listing or selling, we take our time to counsel with our clients to identify their personal goals and needs, their level of experience in the buying and selling process, timeframes, contingencies, and work with them to meet their needs. After over 25 years in this business, we look at the process this way: For a brief period of time, we are honored to be invited into someone’s life to get a picture of their goals and become an active part of their home choice. We have sold properties to clients without them having seen the properties before closing. That takes a tremendous amount of trust. L& K: Being a boutique brokerage with a strong marketing influence, we are able to really tell a unique story for each property. Frankly, we have such an aggressive and refined marketing platform that it is difficult for other brokerages to compete. Our videos have especially made this possible and been a key differentiator. We are able to incorporate lifestyle elements, the flow of a home, aerial views, and intricate details all into a two-minute piece, so someone living thousands of miles away is able to put themselves there in a moment and really get an idea of what it would be like to own the property. Maddux: Having a marketing background, this is truly my focus. Marketing isn’t just photographs and 3D tours — it’s MUCH more. Although we are a boutique brokerage, I spend a sizeable budget targeting potential buyers for my listings. We view each listing as a new marketing project, and we strategically get the listing in front of potential buyers. Our listings are beautifully presented with professional photographs, movies and descriptions, and beyond that, placed in publications and on web sites that transform consumers into buyers. How do Buyer and Seller experiences differ when they choose to work with a boutique agency? 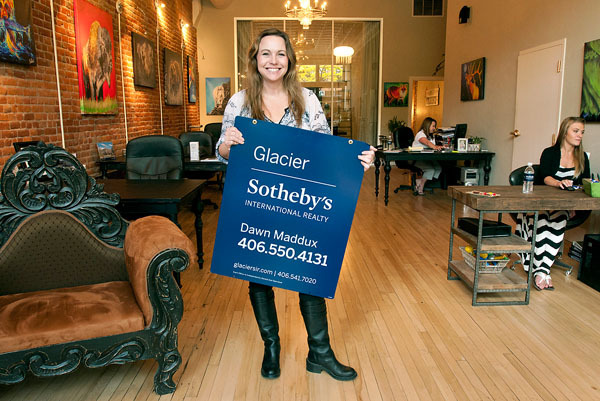 Maddux: Boutique brokers are more “hands-on” in every way. With clients, with our agents, with our industry associates. We aren’t trying to be the biggest, just the best. Uncommon Ground: A boutique agency operates like an elite team. We work in cooperation, not competition, with one another. If the need arises, we are happy to assist each other’s clients without the worry of conflict. Buyers and sellers know their needs will be taken care of even if their agent is unavailable at the moment. Also, our agents specialize in specific niches from first-time homebuyers to luxury properties. We often team up with the specific niche agent to better serve our clients.